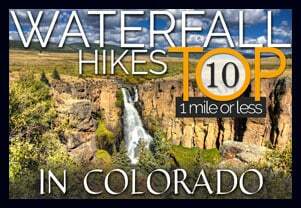 This Colorado hike (more of a stroll) is a perfect way to spend a Saturday morning. You can rent canoes and sailboats from the nature center and warming house. In the winter, the Evergreen Lake transforms into an ice skating wonderland. Explore this hike profile for all the details. *Notice: The north trail of this loop is currently closes, so making the hike a loop is not possible at this time. 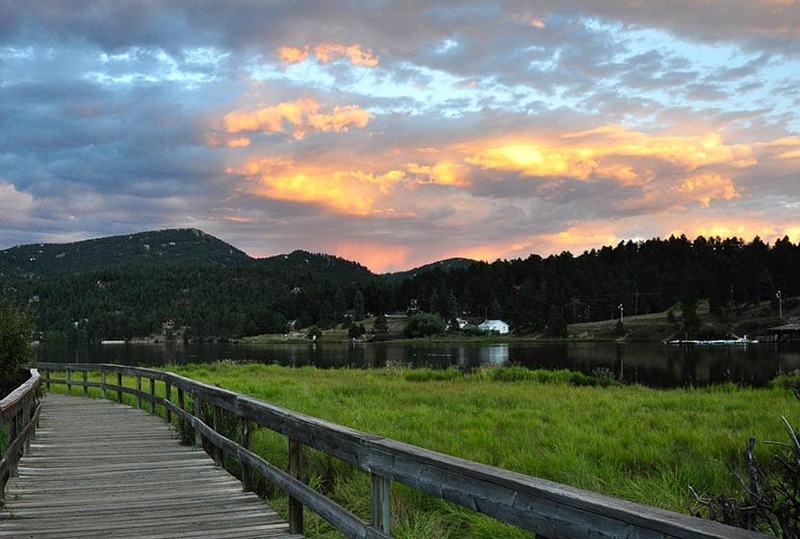 Evergreen Lake Trail is a 1.3 mile loop in the quaint mountain town of Evergreen, Colorado. 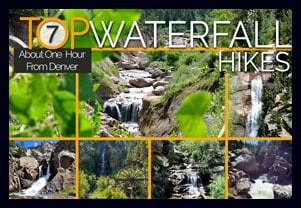 If you have a young family like us, and are looking for an easy hike near Denver, this is a great choice. From the Evergreen Lake house, the trail winds along a boardwalk, through a wetlands area, then towards town. If you are going this way (clockwise) around the lake, be sure to take the high path when you come to where the trail splits. The lower path is more of a fishing trail that soon becomes difficult to navigate. You can take the high path into town or over the dam and to the backside of the lake. Along the back side of Evergreen Lake stands the old Warming House and Nature Center, operated by the Evergreen Audubon Society. Be sure to check their site for their seasonal hours. At the boathouse, the Evergreen Park & Recreation District operates boat rental and concessions. Their hours are seasonal as well. You can visit Evergreen Parks & Rec. boating page for rental info and hours. In the Winter, the lake transforms into an ice skating wonderland that rivals New York’s Rockefeller Square. Skate rental and admission fees can be found on the Hockey and Skating page on the Evergreen Parks District Site. TIP: Like we mentioned above, take the high path along the road when walking clockwise around the lake. TIP: Make it a day. 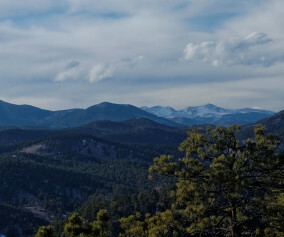 There are several hikes near Evergreen to enjoy. As well, the lake is very accessible from town, so you can walk in, enjoy lunch or coffee, then hike back out. TIP: Listen for Elk in the Fall: On our most recent trip to Evergreen Lake, a bull elk was bugling. 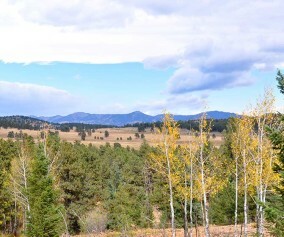 So, if you just don’t have time to make it up to Estes Park, this is a great backup. We took our 2 & 5 year olds here on Memorial Day – it was perfect! We stayed on the golf course/ boat house side of the lake, rented paddleboats, had a picnic. Didn’t even bring the BOB stroller – just let the boys wear themselves out. Thanks for this great site! Glad your family had a good time. 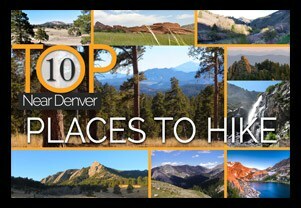 We usually leave the BOB stroller at home for this one as well, especially if we are going to hike it. Can’t wait till our girls are old enough to enjoy taking the boats out on the lake. Thanks Josh, that’s a great note. My wife and I brought a stroller for our daughter the first time we hiked the loop around Evergreen lake and it was a chore. Thank you for the recommendation, your site is gorgeous. 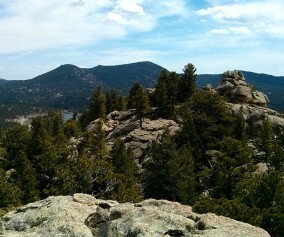 We went to Evergreen Lake Trail today, and it was awesome! The trail was easy and beautiful.